Although all dogs will eventually vomit, special considerations need to be taken when that dog is either an American or English bulldog. Because the dog cannot clean its own face, the facial wrinkles must be cleaned of any vomit or bacterial infection can occur. 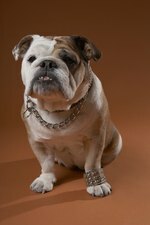 According to ASPCA Complete Guide to Dogs, vomiting can be a choking hazard for bulldogs with facial or throat deformities. They need to be supervised in case they begin to choke. Because of the shape of their jaws, giving a home remedy is slightly different than it would be for longer-nosed breeds of dogs. The Doctors Book of Home Remedies recommends giving any liquid home remedy to bulldogs through a turkey baster and not by a spoon or eyedropper. A bulldog can eat a small eyedropper, mistaking it for a treat. Pull out one cheek and make a pouch. Stick the end of the turkey baster behind the molars and gently squeeze. Two over-the-counter medications can be used to relieve vomiting bulldogs. They are Kaopectate and Pepto Bismol (bismuth subsalicyate). For Kaopectate, give one teaspoon every 12 hours for each 10 pounds that the bulldog weighs. For Pepto Bismol, give one teaspoon every 12 hours for each 20 pounds that the bulldog weighs. The Doctors Book of Home Remedies adds that most dogs prefer the taste of Kaopectate. The Dog Owner's Home Veterinary Handbook recommends that for mild cases of vomiting, where the bulldog is acting normally except for vomiting, withhold all food for 24 hours, but keep water available at all times. Ice chips are OK to eat. If there is nothing in the stomach, then there is nothing to toss up. When going back on food, use a very bland diet of boiled rice and chicken breast. If the vomiting only happens in the morning or after a long nap and all that is brought up is bile, then the bulldog may have bilious vomiting syndrome. 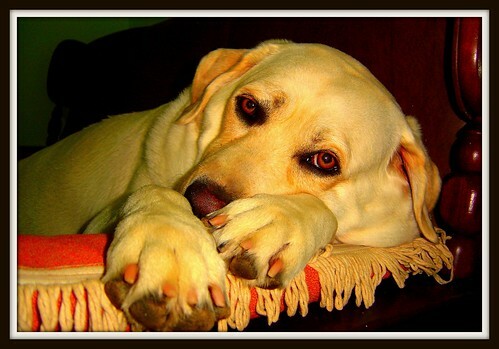 This is common in dogs that have had previous health problems like pancreatitis. The bulldog should return to normal in a couple of hours. One way to counter the morning retching is to feed a small snack late at night. If the bulldog has other symptoms as well as vomiting, then this is usually the sign of a serious condition. These symptoms include diarrhea, fever, extreme panting, lack of coordination, or fever. If it is discovered that the bulldog has gotten into a poison, get the dog to a vet immediately.